Creator of the Harry Potter fantasy series J. K. Rowling is a British writer who has gained worldwide attention, won multiple awards and sold over 325 million books. She is the biggest female earner with an annual salary around six times greater than the queen. She is ranked as the thirteenth richest woman in Britain. Forbes named Rowling the second richest female entertainer in the world and ranked her as the forty-eighth most powerful celebrity 2007. 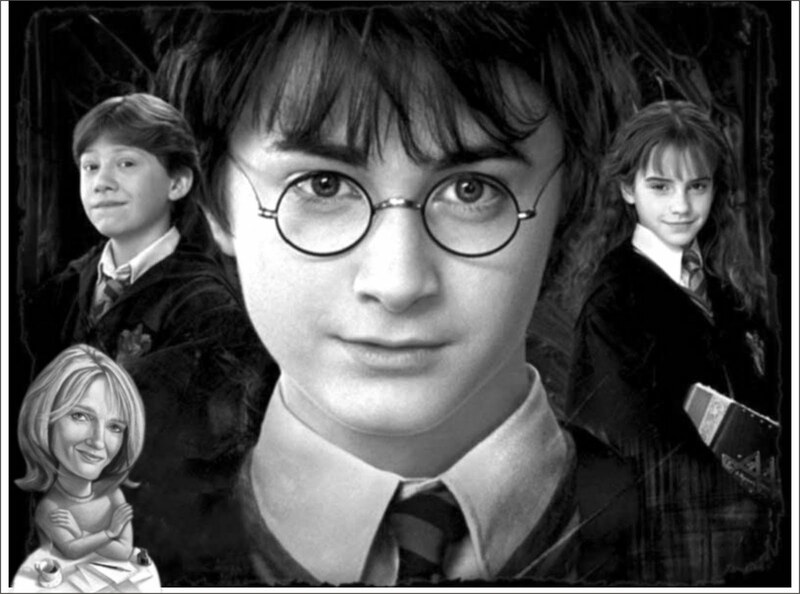 In 1990, while Joanne Rowling was on a four-hour-delayed train trip from Manchester to London where she had gone for a flat-hunting, she developed the idea for a story of a young boy attending a school of wizardry. When she had reached her Clapham Junction flat, she began to write immediately, conceiving Harry Potter, who first featured in the 1997 book Harry Potter and the Philosopher’s Stone. (In the US, the book was titled Harry Potter and the Sorcerer’s Stone.) Potter is a student wizard at Hogwart School of Witchcraft and Wizardry, where he belongs to the house of Gryffindor, plays the odd broom-riding sport of quidditch and battles the villain Lord Voldemort. Rowling’s original book was a smash hit and Potter became an international fad, with parents and children standing in line for the release of sequels. 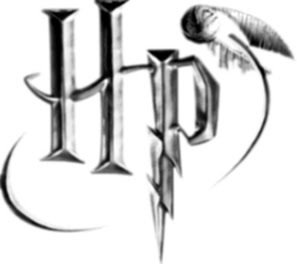 Says Rowling about Harry Potter, “I had been writing almost continuously since the age of six but I had never been so excited about an idea before. I didn’t have a functioning pen with me, and I was too shy to ask anybody, if I could borrow one. 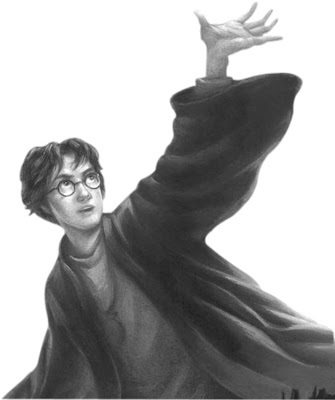 I think, now, that this was probably a good thing, because I simply sat and thought, for four (delayed train) hours, and all the details bubbled up in my brain, and this scrawny, black-haired, bespectacled boy who didn’t know he was a wizard became more and more real to me. Unemployed and living on state benefits, she completed her first novel. She did her work in numerous cafes and wrote the manuscript on a manual typewriter finally it was done. And she covered the first three chapters in a nice plastic folder and set them off to an agent, who returned them so fast they must have been sent back the same day they arrived. But the second agent she tried wrote back and asked to see the rest of the manuscript. It was far and away the best letter she had ever received in her life, and it was only two sentences long. Rowling was born in Yate, near Bristol, a few miles south of a town called Dursley on 31 July 1965. Her father Peter Rowling was an engineer for Rolls Royce. The worst thing that happened during her teenage years was her mother was diagnosed with . Rowling left her wyedean secondary school in 1983 and went to study at the University of Exeter, on the south coast of England, she studied French. multiple sclerosis, which is a disease of the central nervous system. Rowling left her wyedean secondary school in 1983 and went to study at the University of Exeter, on the south coast of England, she studied French. After leaving university she worked in London. On December 30, 1990, Rowling’s mother succumbed to the 10-year battle with the disease. Rowling commented, “I was writing Harry Potter at the moment my mother died. This death heavily affected her writing and that she introduced much detail about Harry’s loss in the first book, because she knew about how it felt. Rowling married Portuguese television journalist Jorge Arantes on 1992. They had one child, Jessica. Unfortunately they separated in November 1993. The seventh and final book’Harry Potter and the Deathly Hallows’, of the series was released on July, 2007 and became fastest-selling book.All seven volumes of the Harry Potter series, one for each of Harry’s school years, have broken sales records. Rowling has stated that she plans to continue writing after the publication of the final Harry Potter book. In an interview published on July 2007, Rowling said that she wants to dedicate “lots” of her time to her family, but is currently sort of writing “two things”, one for children and the other for adults. 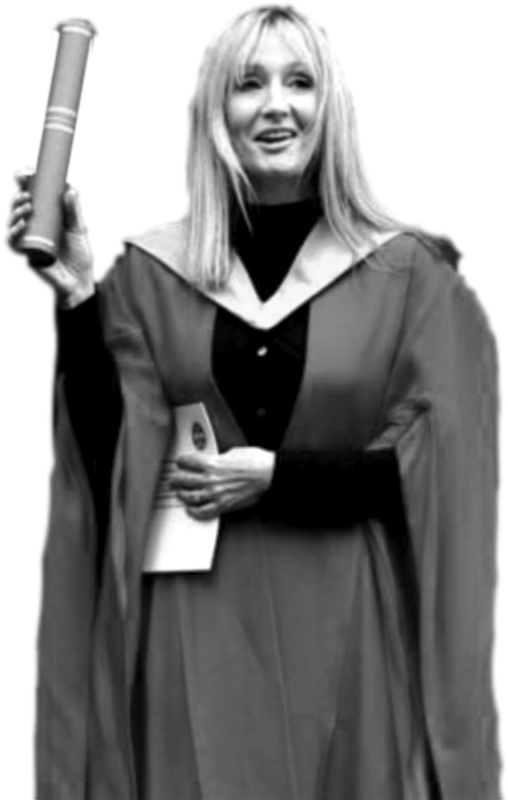 The other face of Rowling is that she has actively contributed money and support for research and treatment of multiple sclerosis, for a society called Multiple Sclerosis Society Scotland, as her mother died because of this disease. Recently she received the order of British Empire for her contributions to literature.